The sky has been a source of fascination since the dawn of mankind. The Gauls feared it might fall on their head, and many people raise their heads in prayer. It’s now 2010, and we’ve established some knowledge about what’s out there, but compared to what’s really out there we actually don’t know much at all. Google Sky Map chose you what we’ve already learned about the universe. You’ll see the stars through different eyes with Google Sky Map, I can already tell you that much. Google Sky Map shows you the constellation of stars that’s situated in the direction in which you’re pointing your Android phone. 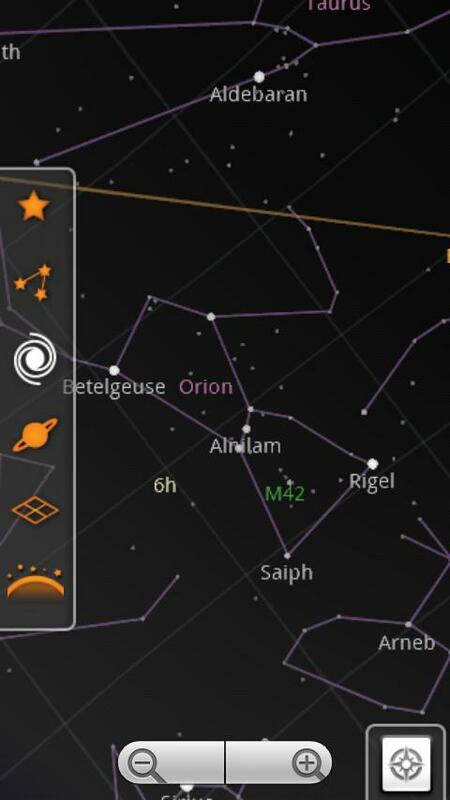 That is to say that what’s shown on your screen corresponds with the actual constellation and its location. The integrated movement censor makes this possible. The app recognizes where you yourself are located thanks to your network data provided by your Android. You can also use the GPS signal, which will give you even more precise data. You can, of course, also deactivate the GPS function and use Google Sky Map in the same way you’d use Google Maps. You can set up this manual mode by clicking on the screen once and then pressing the button in the lower right corner. An entire starscape will open up in front of you like a map, and you can leisurely peruse through the universe by sliding your finger across the screen. This way you can see which constellations people who are located somewhere else can see. The oddly named “Toggle Night Mode” function is hiding behind the menu button. Once you activate this, the display changes to red on a black background. Now, I’m no astronomer, but I think that the standard view mode is sufficient, even at night. Google Sky Map’s definite stand-out is the search function. Press the menu button and then Search and you can start looking for planets, astrological signs and everything else the app has to offer. If you’ve set the automatic mode in which Sky Map determines your location, a small red circle with an arrow indicated in which direction you have to hold your Android in order to be able to view the star you’re searching for. If you’re in the manual mode, you’ll simply be transported towards your star in the map. I was really impressed by the search function, especially in the automatic mode. Browsing through the sky and finding what you’re looking for—awesome! Google Sky Map is beyond its beta status, but there are still a few functions missing. For instance, it would be cool if you could find out more details about a given star by tapping on it, similar to how Augmented Reality Apps work. However, the search function is so cleverly made that it’s a real pleasure using Google Sky Map. Thumbs up! Using Google Sky Map works really well. All you have to do is move your Android around, and Google Sky Map takes care of the rest. Browsing through the map works well, even in the manual mode. The screen itself is also good. Different colors are used to represent different constellations, stars, etc. The planets look the same as in reality. It sometimes makes sense to deactivate some levels; that way the map remains clearer. It runs smoothly and very fast, no crashing, which is great because in last year’s test we had to take some deduct some marks in this department. Obviously Google has done its homework. You can download Google Sky Map for free from the Android Market. 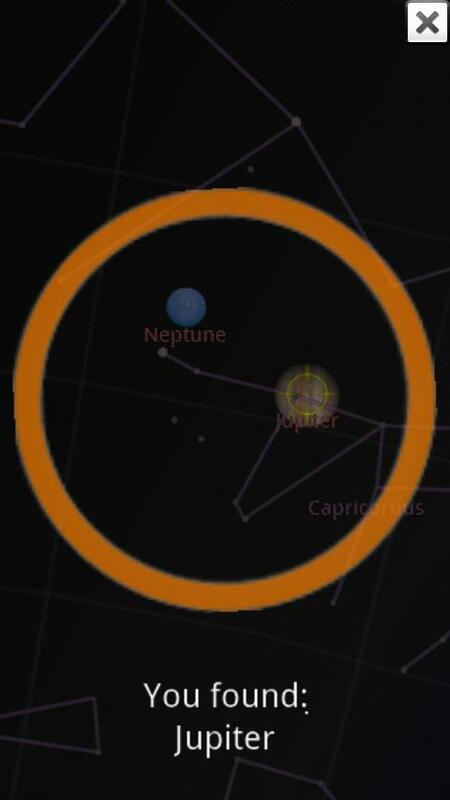 Now, with this interesting application, the sky map is easier to understand and study further. The toggle night mode is so it doesn't disrupt your own eyes' night vision when watching the sky for meteors or constellations etc. That's why it is red. Hi Sarah, thanks for chiming in. I agree with you that this app is great to use from time to time. I love this app. I don't use it a whole lot but when I do, it is awesome and seems to be fairly accurate....but I am not an astronomer. Sort of sad that we're looking at our phone for things in the sky :)) But it's a cool technology, I like it. I love this app, it's just incredible. My husband is most disgruntled that he can't get it on, his iPhone!